Portsmouth Council OKs Purchase of Drone by Police Dept. The Police Department in Portsmouth, N.H., will use a $69,638 grant to pay for a small unmanned aerial vehicle as well as the cost of maintenance for the device and training of officers. Uses for UAVs include crime scene and accident investigations. Members of the Davenport Fire Department in Iowa now have ballistic helmets and body armor for protection in active shooter situations. A $5,600 grant from the Scott County Regional Authority was used to pay for the equipment for six firefighters. 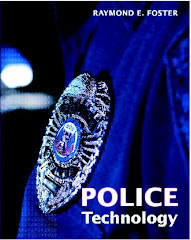 The Freeport City Council in Illinois has approved the purchase of a use-of-force simulator for the police department. The technology uses high-definition video, a projection screen, sound and other components to create realistic scenarios. The Mecklenburg County Commissioners have approved releasing an additional $4.6 million for security enhancements at Charlotte-Mecklenburg Schools. The funding will allow CMS to implement phase one of its safety enhancements, which include better cameras, stronger fencing and additional locks on exterior doors. The Irvine City Council in California has approved the Irvine Police Department's establishment of an unmanned aircraft system (UAS) program. The UAS team is permitted to fly and operate a single drone to assist with crime investigations, search for missing persons, and respond to and evaluate natural disasters. The New York City Police Department has suspended use of a model of body camera after one exploded. The NYPD says an officer noticed smoke coming from the Vievu LE-5 body camera, removed it, and the device exploded. No one was injured. The NYPD says that the explosion revealed a potential for the battery to ignite, and that the 2,990 cameras in use are being removed. In a statement, Axon, Vievu's parent company, says it will do whatever is necessary to resolve the situation. A handcuffed man was able to shoot a state trooper in the torso on I-75 in Bartow County, Ga., according to authorities. The trooper was wearing a ballistic vest and survived. The suspect was shot several times and died a short time later. The Pennsylvania Corrections Department says it will screen books donated to state prison inmates for drugs as part of its response to a sharp rise in the number of employees seeking medical care for suspected exposure to synthetic marijuana. The agency told The Associated Press that donation groups will no longer ship books directly to inmates; the books will be examined by drug sniffing dogs at a central location before being given to prisoners. After a two-week lockdown that began in late August and changes to mail and visiting procedures, drug finds and positive results in random inmate drug tests are down by about half, and assaults and drug misconducts are also down, according to the department. Staff emergency room visits for suspected drug exposure fell from 48 in August to eight in September. Some former New York City probation commissioners feel that people on parole and probation should no longer be tested for marijuana if the drug is legalized in New York State. Vincent Schiraldi, a former city probation commissioner, testified before a state Assembly committee hearing on allowing adult use of marijuana and spoke on behalf of four other former probation commissioners. New York currently allows people to use marijuana for medical purposes. State lawmakers are considering fully legalizing the drug for recreational use. The Sullivan County Sheriff's Office in Tennessee has taken steps to ensure the correct inmates are released from the county jail. Corrections officers recently scanned more than 900 prisoners' thumbprints via a computer kiosk. Along with checks such as personal information and mugshots, staff will run prisoners through the biometric process again for release, double-checking that the right person is being freed from the facility. An Indiana county's implementation of the Juvenile Detention Alternatives Initiative plans to add a mentoring program next year. Through the initiative, Cass County offers an alternative to secure detention for low-level juvenile offenders. The mentoring program will aim to deter youth involved in the juvenile justice system from re-offending by making a positive impact on them through support and encouragement. South Carolina prison officials are assessing a managed access system intended to block cellphones smuggled inside by inmates. Managed access interferes with cell signals in a designated area. The Butler County Prison in Pennsylvania is revamping its mail policy following the sickening of six prison workers. Paper mail will no longer be coming into the prison other than legal mail. A company will scan personal mail and then upload it onto an electronic tablet, which an inmate can use to view mail. Advancing Research Initiatives and Combatting the Human Trafficking Epidemic wil take place Nov. 1, 2018 at 1 p.m. ET. Recommendations will be discussed addressing general policies and priorities; a need to better protect refuges, immigrants and other at-risk populations; labor trafficking; and sexual exploitation. For information and to register, go to https://forensiccoe.org/webinar/combatting-human-trafficking-epidemic/.